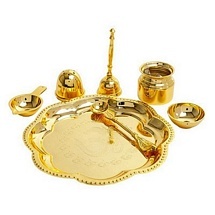 Diwali is the grand festival of lights and gifts and undoubtedly this could be claimed. On the great festive occasion of Diwali, people do pass the wishes to loved ones through mesmerizing presents. 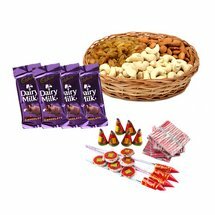 Though there are many different things that become a part of celebration on the festive event but there is much significance of different presents for the occasion. Passing the festive wishes of Diwali is all the time required with something special. People do try and even go out of their way to mark the occasion with love and golden memories. For those, who really don't want to take risk with normal or ordinary gifts and want to present something special to loved ones, the best option for them is the combo of flowers with cake. Diwali is the grand festive event and there is no doubt in the same. 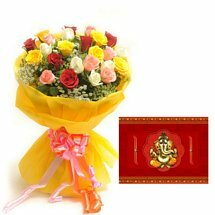 Gifts are undoubtedly the main attraction of the event and hence those who don't want to compromise with anything less than a special present, we are here with the perfect combo of Diwali flowers with cake. This is definitely an unmatched present for the occasion and now, it is possible to send this gift to those who are away from you. 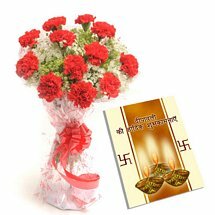 You can now express your true heart feelings to the near and dear ones and definitely by the means of this special combo you can for sure. Diwali is a day when everyone express their love and affection to loved ones through special presents and gifts. There are definitely many presents that could be gifted but to cater the special relations special presents are required. The combo of flowers and cake on Diwali is a perfect option for those who want to nurture their special relationship bonds with something special. 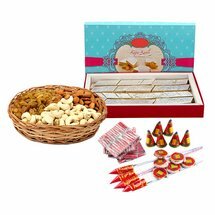 Whether you are planning to send Diwali gifts to Delhi, Mumbai, Bangalore, Hyderabad, or in any other location of India, from this trusted destination definitely you can fulfill your wish in the much better way and better sense of course. With no extra delivery or shipping charges, you can pass on your wishes of the day to loved ones who are close to your heart but are separated by distance. There can be no other mesmerizing way than this to pass the festive wishes. You can find the plethora of choices to mix and match like roses, lilies, carnations, orchids, etc. With this, we have both the regular and egg less variants of cake, so that you may get what you are exactly looking for.